Project Keepsake is released today! Native Ink Press is celebrating the release of their first book! 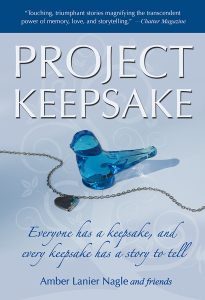 Project Keepsake is now out for sale in both paperback and ebook format! barnes and Noble and other major retailers. Amber Lanier Nagle has always been interested in keepsakes-a glass bluebird, a pocket knife, a dime-store locket, a faded fishing lure, a dented cake pan, a model train car, and so many others. And then she listens as the stores and memories pour out. Project Keepsake is Nagle’s crusade to collect and publish the stories that transform simple, everyday objects into priceless keepsakes. Told in first-person by both seasoned and aspiring writers, each story in the anthology is unique, yet each reveals common threads that connect us all and celebrate the glorious human experience. February’s book release giveaway is over and it is time to announce the winners! All the winners have been contacted! If you see your name here and you haven’t received an email from me please send me an email at ashley.howie@ink-smith.com. We are pleased to FINALLY announce that we will be at WonderCon this April 2014. There had been a slight delay on confirming our location, but we can officially say that we will be there. WonderCon is put on by the same company that hosts the giant San Diego Comic Con. We will have a table in the Small Press section. We will also have our catalog of books available for purchase on site and our mobile store! We will also have freebies and your chance to enter an exclusive WonderCon Giveaway! I am sure we will have more information as the event date nears. I plan on dressing up a bit, and having fun at this great event! 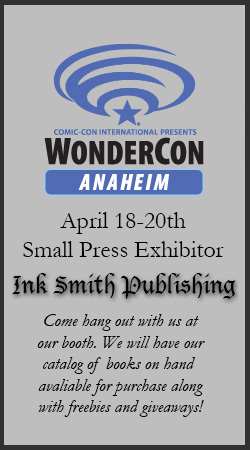 So come by, dress up, have fun, and hang out with Ink Smith Publishing at the 2014 WonderCon in Anaheim California! The link below is for the official WonderCon website. Synopsis: 10 years after the death of his wife Siobhan, Brian CuCullen and his two sons, Kieran and Liam, are drawn back into the mysterious world of the Bene Lumen. Brian must resume his role as Tiarnan, a warrior for the light, while his two sons must go on to attend the mist isle-school Samhain. All the children who attend this school represent generations of Bene Lumen being trained as charmers, conjurers, casters, and warriors. Thousands of years ago, it was Merlin who created Samhain for the Bene Lumen. We find that Liam and Kieran hold a special place in the school, as one might be the next Merlin, and the other the next Arthur. Samhain School of Ancient Knowledge tells the tale of the Bene Lumen and the Illuminatii a war between the dark and the light; a war between extraordinary human beings and evil creatures, demons, and warped human beings; and the CuCullen Family play an important role. 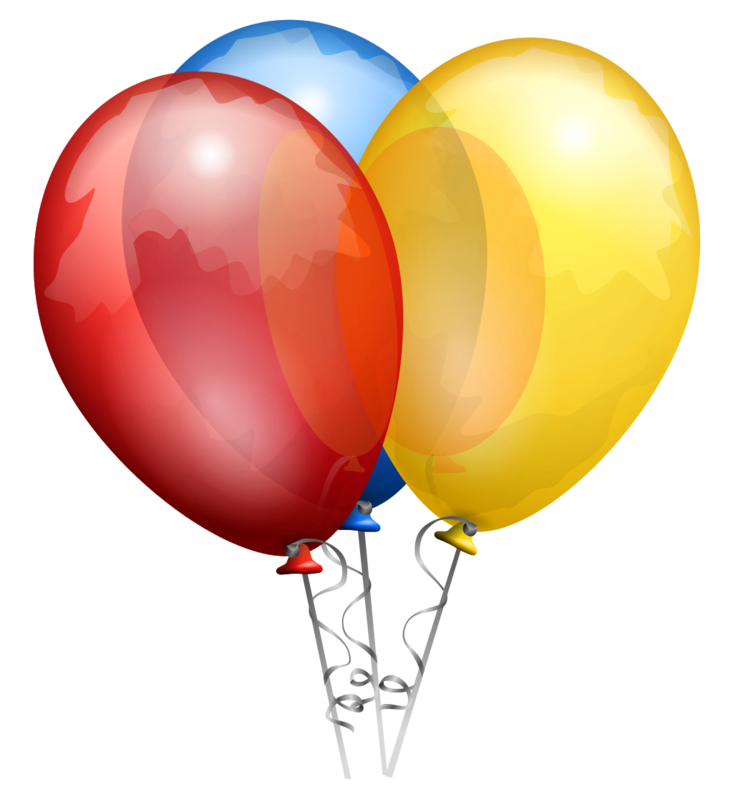 Two Book Giveaways Ending Soon! There are 4 days left to enter Ink Smith Publishing’s February book release giveaway! We have added new pictures of the prizes. 3 Samhain bookmarks from the author. Entry is free and simple! There are 10 days left to enter Native Ink Press’ Project Keepsake book release giveaway! I must admit this book release is not one to miss. Some of the prizes to win are quite incredible. The writing journal presented by the author Amber Lanier Nagle is beautiful and I wish I could win it myself, but I can’t. So I hope someone who loves it as much as I enters daily to win this gorgeous gift. Not to mention other great prizes which include a paperback version of the book, ebooks, the blue bird on the cover and of course the journal. There are several ways to enter, but you can tweet daily about the giveaway along with posting on your blog about the giveaway. This is also Native Ink Press’ first book release! I could not be more excited. The most interesting piece of advice I have seen online about how to write a best selling novel is to not have a well written book. It wasn’t about how much money you needed to spend on marketing. And it certainly wasn’t about how getting into a book store means instant success. The article spoke about picking a relevant, but evergreen topic. Something that seemed to be of a concern to the general public and something that everyone was going to have to at least read once. I think this can definitely be done if the writer is writing about a non-fiction topic. It is easy if a person is knowledgeable in a subject to write an entire book on a topic in an interesting genre. Advertise your book in the right places and it could possibly take off beyond your own belief. But how does this apply to fiction? If everyone is reading a book about a boy wizard and his adventures, then it is probably not wise to write something that is similar to this. Why? Because the readers want something new to fall in love with. After the Twilight hype many publishers had a side note on their submission page that they were not accepting any vampire novels. They simply were looking for something else, knowing that the “vampire” hype would die soon and any other vampire book would not sell well for awhile. However, that doesn’t mean NOT to write a book with a vampire character. Just make it unique, never compare it to the current hype and just be patient. When the supply in the book market is high with vampire novels then the demand to buy more of them will be low. However if you throw out a curve ball with a different plot-line or characters you may just see better results than if you had published the norm. So yes, be patient, let the fad pass and go ahead and submit your novels to the right publishers. In the meantime write something else. Never stay idle! What does it mean to be an “author”? Even if you have never had your work published professionally you are still an author. You are the author of your life. The words you type on a word document, online or on a piece of paper means you are an author. No you might not be a “published” author, but does that really matter in our hearts? My point being is to let you know there is a difference between you and those “authors” that become known. It’s called passion and dedication. Truth be told just because someone presses the “publish” button does not mean that the author is going to be instantly famous and sell thousands of copies. That is the hard truth. And no, publishing isn’t a matter of pressing a button, a lot more goes into it! But that is a different post. The passion comes into play when writing. You are so passionate about your characters, your story and the setting you have created that they seem to dance on the pages as we read it. Which is great and yes that does indeed help sell books along with a unique story line. It’s the dedication that will take you all the way, and perhaps a bit of luck. Those who are dedicated to find the latest contests, network with other bloggers, drive miles to different book fairs or stand on the corner of a street fair passing out book marks hoping that at least one of those people will buy your book, will be the one that goes farther than the author who expects it to happen. Unfortunately publishers don’t do enough of this for the author. I’ve heard stories of authors at major publishers that have to do just as much work as those from smaller publishers like ourselves. It was the dedication and word of mouth snow ball effect that makes many books become great sellers. It’s the harsh truth. However if you call that harsh, perhaps being a “professional” author isn’t the right route for you. If you haven’t learned by now, this industry has a large amount of heartbreaks, especially the rejection letters. So don’t give up. The beginning is always slow and it will be the dedication that can take you further than the next! A question I know authors ask themselves as they begin a new book with the white empty pages taunting them. So I ask myself as I start a new series of blog posts on Inkwell and Quill, where do I begin… Where to start? I believe that this is the most “intimate” you can get with a any company, inside the mind of the person behind the curtains. I know here on WordPress that I am not alone as I write my posts. There are plenty of other editors that have blogs about writing, publishing and their company. My goal in writing on Inkwell and Quill is not only to promote the hard work of our authors and editors, but to help out other authors, writers and maybe even gain a few new readers. I would love to get conversations going, have people ask questions about this industry and help those that I can. I can’t express how excited I am for the coming year. 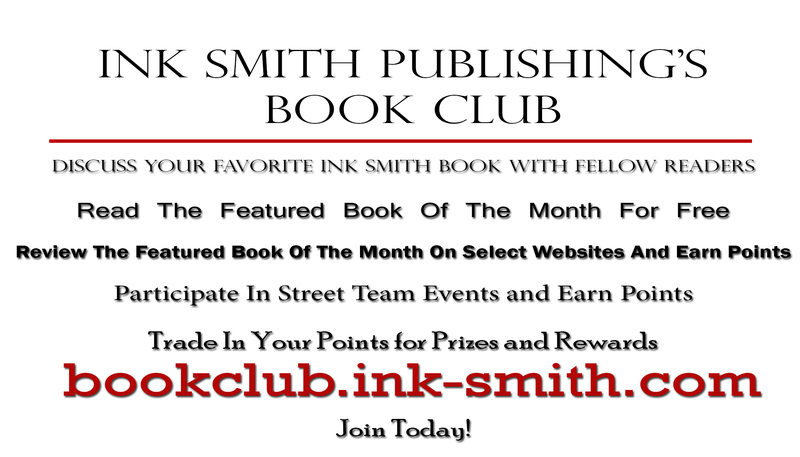 We really have some great authors at both Ink Smith Publishing and Native Ink Press. Of course I will be writing a few posts in the future regarding several authors and their recent or upcoming magazine articles. I hope I can help those lost on this crazy journey of book publishing whether you are a published author, self-published, looking for a publisher, or just getting started. It’s not an easy journey, but when you have someone to do it together with, it suddenly becomes an adventure. Identify a Keepsake—look around your house, on your shelves, in your drawers, in your closets, and in curio cabinets until you find something that has a special place in your heart. Brainstorm—start with a blank sheet of paper and just start writing everything that comes to your mind about your keepsake. Don’t worry about making it sound good at this point. Just get your thoughts on paper. Where did it come from? How long have you had it? What does it look like? Why is it significant to you? Organize your Thoughts—Some writers use outlines to organize all the elements of a story, while other people prefer to draw bubble diagrams to help map it out. Put Pen to Paper—Using the notes from your outline or bubble diagram, write your story. Revise and Polish—Look at your opening paragraph and make it stronger. Make sure your subjects and verbs agree. Check spelling, capitalization, punctuation, and grammar. Replace weak verbs with stronger verbs. Add a dash of dialogue. Revise Again—Put away your story for about two weeks. Don’t think about it. Then, take it out and read it as if you are reading it for the first time. Keep revising your story until you are happy with it. 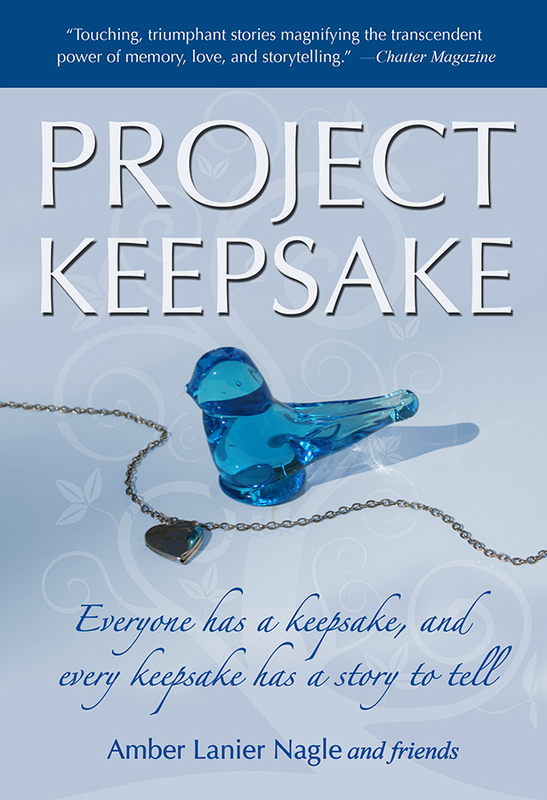 Enter the giveaway for Project Keepsake today and be entered to win free books and great prizes!